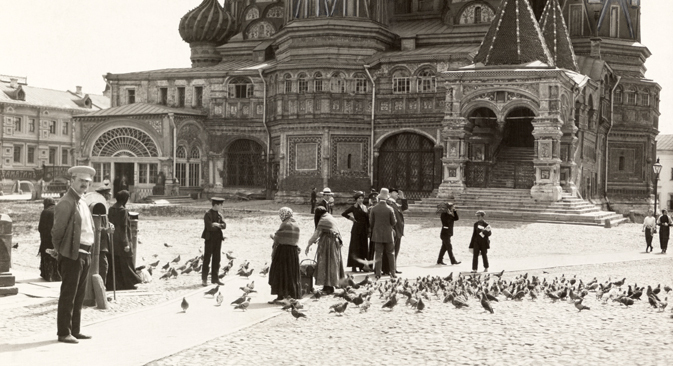 One hundred years ago, National Geographic published an issue entirely devoted to Russia. On Nov. 19, the American-Russian Cultural Cooperation Foundation honored the author's grandson for his contribution to American-Russian cultural cooperation. The magazine could not but stir Americans' interest in Russia. After such promotion Russia could only expect a flow of curious tourists, farseeing businessmen and so on. But the world stage darkened. WWI snuffed out the hopes of many nations. The chance to realize Grosvenor's optimistic hopes in the development of American-Russian relations was lost. Alexander Potemkin was the last Soviet cultural attaché, and is now the executive director of the ARCCF. On Nov. 19, the American-Russian Cultural Cooperation Foundation hosted a black-tie event in Washington, DC, honoring the role photojournalism has played in promoting closer U.S.-Russia relations. During the event, the ARCCF presented Gilbert M. Grosvenor, honorary president of the National Geographic Society and Gilbert H. Grosvenor's grandson, with an award for the magazine's and his grandfather's contribution to American-Russian cultural cooperation. Speaking on behalf of the National Geographic Society at the event, John Fahey, chairman of the organization's board, said: "Gilbert H. Grosvenor was a man ahead of his time. His remarkable cover story showcasing Russia...was groundbreaking for its beauty as well as its unique utlization of pictures to enhance the written word."